The largemouth bass may well be the most popular game fish in North America. 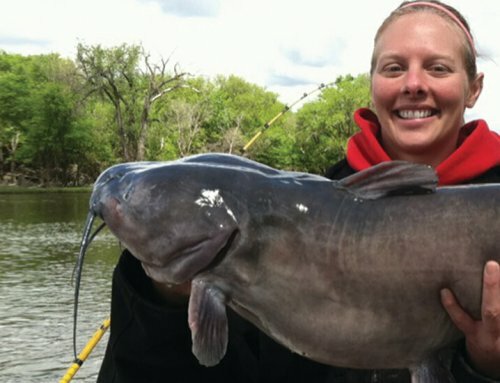 Sure, Minnesotans love their walleyes and muskies have a strong following in certain areas. 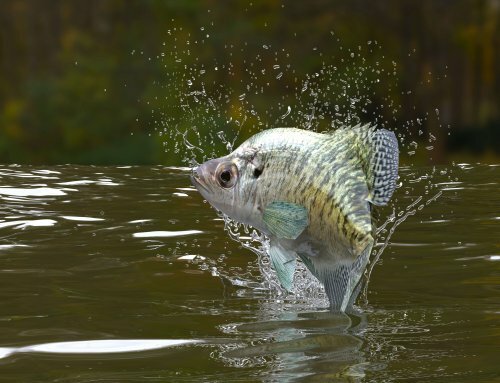 The one fish, however, that has devoted fans everywhere…from the ice belt to the Mississippi Delta and from the East Coast to West Coast…is the largemouth bass. 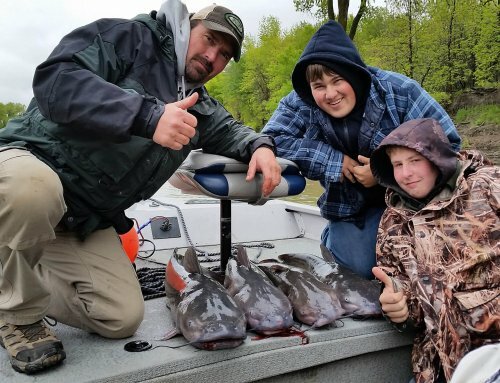 While the vast majority of bass anglers grab their trusty baitcaster or a good spinning setup on their way out the door, there is a small group among bass anglers that would much rather chase these hardy fish with a long rod and a fly. Fly rodding for bass combines all the aspects of fly-casting for trout with the excitement of top water fishing for bass. Bass flies also allow for the opportunity to put something in front of the fish that they probably haven’t seen before. It’s amazing how much of the diet of a bass actually consists of dragonflies, grasshoppers and other “bugs” that conventional tackle manufacturers have largely ignored. All of which are available in various fly patterns for the fly fishing bass angler. With fly-fishing there’s even the opportunity to “tie your own” flies to better match the bugs that may be unique to your area. That’s something that’s not really available to bass anglers using more traditional tackle. There’s definitely also something to be said for the thrill that you get when battling a hard-fighting fish like the largemouth bass with the very rudimentary drag systems that most fly reels have. When selecting fly tackle for largemouth, it is important to remember the nature of most of the flies used for them. Bass flies or “bass bugs” are usually bulky, very wind resistant and somewhat heavy by fly-fishing standards. That means these bugs are going to be harder to propel through the air and towards a target. It is largely for this reason that fly tackle for bass will be somewhat heavier than fly tackle commonly used for panfish or trout. For most of my bass fly casting, I like to go with a 7 or 8 weight fly rod in the 8’-6” range. This extra length of this rod allows for better energy transfer down the blank, through the fly line and leader to the bass bug. This helps punch the bulky fly through the air and improves accuracy as well. The longer rod is also easier for beginners to cast and allows more room for operator error. I like the 7 weight because it has enough backbone to launch the largest of bass flies, while still having enough finesse to fish the smaller streamers that can also be used for largemouth. Logically, the fly line used for bass should match the weight rating of the rod. To help with propelling these large flies towards their target, it will also need to be a floating weights forward line (designated as “WF”). WF lines have a very gradual taper until the front portion of the line, which concentrates the mass of the line towards the fly. Level lines or configurations other than WF lack that weight forward design, and as such, have trouble turning a large bass bug over effectively. If you can get your hands on a “bass taper” or a “bass bug” taper then all the better. These lines concentrate an even greater percentage of their mass towards the front of the line and turn large bass bugs over even better than WF lines. Bass flies fall into basically 2 categories. The first of these and probably the most popular are “bass bugs”. These are almost exclusively surface type lures. Most of these are made of fur and/or feathers and tied to resemble frogs, but there are also patterns that mimic mice, rats, ducklings and small birds. Also in this category are the lures called “poppers”. These are often a foam body with a concave face that makes a popping or gurgling sound as they are retrieved. Some of these poppers are also adorned with tails made of feather or rubber skirts similar to a spinnerbait. One of my favorite lures in this category is a fly rod sized version of the classic Hula Popper. There are also poppers made from fur/feathers that work quite well. The hair on the face of these lures is trimmed to match the concave face of the foam poppers and does a respectable job of achieving the same kind of gurgling sound as a foam popper. Other flies in this category have the fur around the face clipped in a sloping manner. This causes the fly to dive when retrieved, so these flies are often referred to as “divers”. Many of the mouse imitations fall in this category. These types of bass bugs are a nice way to still fish on the surface, but also get some subsurface action for fish that might not be taking a fly off the surface. The other major category of flies used for bass I like to call “streamers”. These can range from flies traditionally used for trout like Wooly Buggers and Muddler Minnows to streamers made specifically for pike and saltwater fishing. 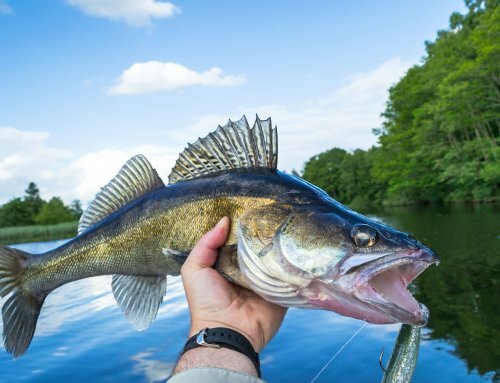 Most streamers are attempting to imitate one of several different food sources for bass such as baitfish, leeches or worms, lizards, snakes or crayfish. Streamers are typically fished below the surface in one of 2 ways. The first is much like a traditional bass angler would fish a plastic worm of a pig-n-jig method. For this application a streamer with a cone head or bead head would be a good choice. The second method is to retrieve the streamer so that it swims through the water much like a traditional angler would fish crankbait or spinner bait. Streamers without any extra weight should naturally sink to the perfect depths for this technique. Don’t let the fact that you have fly tackle in your hands change where and how you look for bass. The fly tackle is really just another method of delivering a lure to the fish. Bass will still be located in the same locations they would be when using traditional tackle. You will still need to attract their attention and trigger them to strike. Some of their strikes will be for feeding purposes and some will be reactionary strikes, much the same as they are when pursued with spinner baits, jigs, Texas rigged worms or any of the myriad of other traditional bass lures. Cast the surface flies to and work them over weed beds, paying special attention to any openings in the weeds. Frog patterns are especially effective around lily pads. Work these through the beds of lily pads in much the same way you would a weedless frog on traditional tackle. I like to work streamers along the edges of weed beds and in or around docks and piers. Just about anywhere you would pitch a Texas rigged worm or jig is the ideal to cast a streamer to. In either case, retrieve the fly by holding the rod in your casting hand, making sure the line runs across your index finger of that same hand then pull the line in with the other hand. 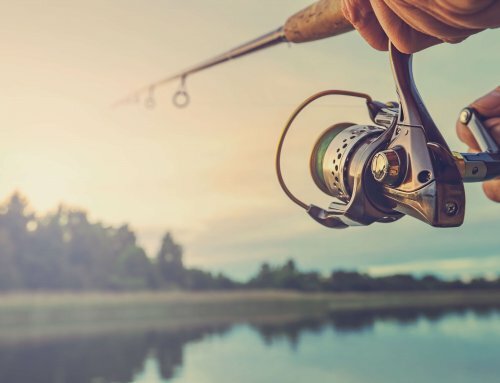 Once you reach the end of that stroke, drop the line in your non-casting hand, reach forward to re-grasp the line near your casting hand and repeat the process. This technique is called stripping and is the way to go for retrieving any fly that you would cast for bass. Vary the length, speed and duration of each stroke while stripping until you find out exactly what the bass want that day. Sometimes they want slow, smooth long retrieves and other times they want fast, erratic, short strokes. Don’t be afraid to pause several seconds each time you re-grasp the fly line with your stripping hand. Sometimes this is just more than the bass can tolerate and they absolutely explode on the fly to eat it. Fly-fishing for largemouth bass is an exciting and very satisfying way to catch them. Unlike trout, a perfect cast is not required for bass on the fly. A loud plopping fly on the surface that would scare trout away is actually very appealing to a bass. This means even the least skilled caster can effectively chase bass with a fly rod. Compared to a bait-casting setup, a fly rod & reel is a much simpler, more elegant piece of machinery. The drag is relatively simple and the rod is considerably longer and much more limber than any baitcaster out there. This eliminates much of the advantage that a heavy rod, a robust drag and heavy line give the angler. This only adds a whole new level of challenge to catching bass on the fly, and is a big reason that fly fishing bass anglers are so addicted to the practice. Fly-fishing for bass is also a great way to catch pressured bass that have seen-and ignored-all the traditional bass lures. Bass fly anglers can toss in a large hopper pattern or large damsel fly pattern and often get bites from fish that had ignored a traditional weedless frog only minutes ago. For those of us that also fly fish for trout, bass on the fly are a great way to practice our casting and scratch that fly fishing itch even when there’s not a coldwater trout stream in sight. For all of these reasons…and many more…every bass angler should have at least one fly rod in their arsenal. Be forewarned, though, that bass on the fly can be so addictive that your traditional bass tackle may start to gather dust once you pick up the fly rod.